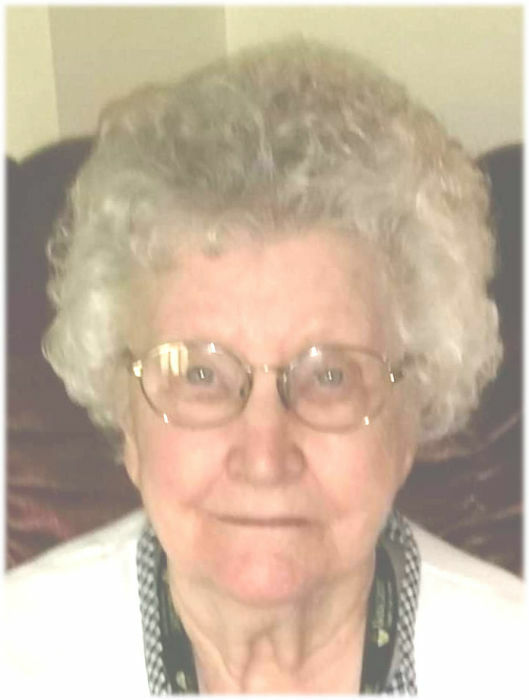 Louise Wallick Dull, 95 of Van Wert, died at 11:52 a.m., Monday February 11, 2019 at the VanCrest of Van Wert. She was born on January 17, 1924 in Kokomo, Indiana, the daughter of the late Ethel Franklin and Anna Mae (Rodgers) Doan. She was married Clarence Robert Wallick, who preceded her in death on May 25, 1965. On July 20, 1966, she married Robert Lloyd Dull, who also preceded her in death on February 13, 2001. Louise was a homemaker. She attended Ohio City-Liberty High School and was a member of First United Methodist Church in Van Wert. Family survivors include her sons, Donald (Camille Knight) Wallick of Westerville, Ohio, Michael (Beth) Wallick of Aikens, South Carolina, and James R. (Pam) Wallick of Ottoville, Ohio; step-son, Larry E. (Polly) Dull of Greenfield, Indiana; two step-daughters, Betty J. Johnson and Donna M. Duncan, both of Van Wert; eight grandchildren and 14 great- grandchildren; six step-grandchildren and 19 step-great-grandchildren. She was preceded in death by four brothers, Elmer Doan, David Wesley Doan, Charles Delano Doan, and Frankin Howard Doan; four sisters, Jessie Hickernell, Edna Muriel Hodge, and Phyllis Rae Schreiber Balliet and Margaret Simmons; and a step grandson. Funeral services are scheduled for 11 a.m., Saturday, February 16, 2019, at Cowan & Son Funeral Home, with Pastor David Prior officiating. Burial will follow at Woodlawn Cemetery in Ohio City, Ohio. There will be visitation 4 - 8 p.m., Friday, and one hour prior to the service on Saturday. Memorial contributions may be made to the C.H.P.- Inpatient Hospice Center.